4239 Laurel Glen Ct Douglasville, GA. | MLS# 8358170 | Larry Gamel and Windy Gamel Your HUD home Specialist in West Ga.
A RARE FIND! 3-ACRE PRIVATE CUL-DE-SAC LOT W/ IN-GROUND POOL, & STREAMS ON PROPERTY. 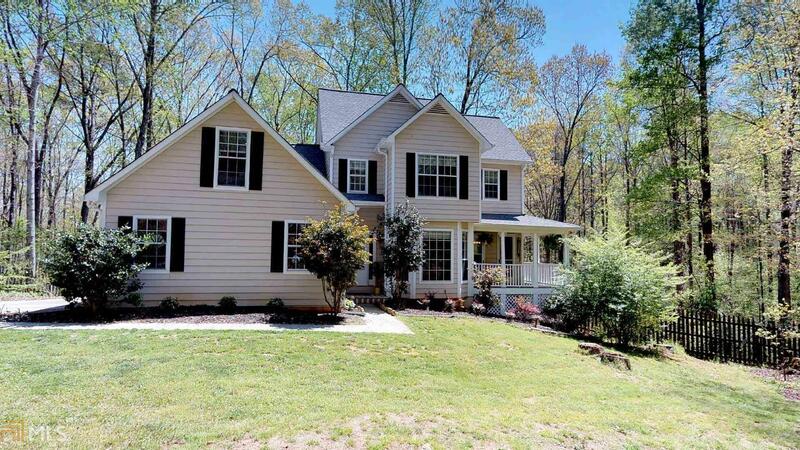 MASTER ON MAIN, BEAUTIFUL WIDE PLANK HARDWOOD FLOORS, 3 ADDITIONAL BEDROOMS ON UPPER LEVEL WITH NEW CARPET, TILE KITCHEN WITH BREAKFAST NOOK & SEPARATE DINING ROOM. WRAP AROUND PORCH LEADS TO MULTI-LEVEL DECKING & FENCED BACKYARD. NEW INTERIOR PAINT, NEW APPLIANCES, NEW ROOF, NEW POOL PUMP AND LINER READY FOR NEW OWNERS JUST IN TIME FOR SUMMER! BE SURE TO VIEW OUR 3D VIRTUAL TOUR.